Mickey Fulp: "I’m a Short-term Bear in the Copper Market"
Mercenary Geologist Mickey Fulp gives his thoughts on the copper market and reveals his long-term pick in the space. At the International Metal Writers Conference last weekend, the Investing News Network caught up with Mercenary Geologist Mickey Fulp. Fulp, whose presentation at the show was on copper, said he’s a short-term copper bear and doesn’t expect the market to change very quickly. He said that if US President Donald Trump’s infrastructure plan does not go through, copper prices may not do as well as expected in the short term. Fulp added that China is a wild card because it consumes 40 percent of the world’s copper. That means it’s important to pay attention to when China is stockpiling copper and when it is using more of the red metal. Fulp’s copper pick for a long-term investment is Trilogy Metals (TSX:TMQ) for its large, high-grade deposits in Central and Northwest Alaska. Fulp is a Trilogy Metals shareholder and the company is a sponsor on his website. In the next two to three years, Fulp thinks zinc will prosper on a 6-percent decrease in 2016 production. For that reason, he is an early stage shareholder in Hannan Metals (TSXV:HAN), which bought Lundin Mining’s (TSX:LUN) Kilbricken zinc-lead–silver project in Southwestern Ireland. Hannan Metals is also a web sponsor for MercenaryGeologist.com. The transcript for this interview can be found below. INN: So your talk tomorrow is called a contrarian’s call on copper, and in your newsletter you write you have a bullish view on copper in the mid to long-term. Can you explain why you think the copper price will rise? MF: I have to say I’m my short-term bear in the copper market I don’t think it’s going anywhere very quickly but look at it this way: there’s 85 million more people on the planet every year. We use three and a half per cent more copper every year on an annualized basis starting since 1900 that’s a long time. So the question is: ‘where’s the copper going to come from?’ What we saw in the early 2010s was this massive build out of copper production or the ability to produce copper and a lot of that came from Peru. Peru increases copper production about 50 percent over the last couple of years. Now we’ve exhausted those new developments and because of the downturn in base metals for the last five years; we haven’t explored or developed. So we have a pending shortage in copper. 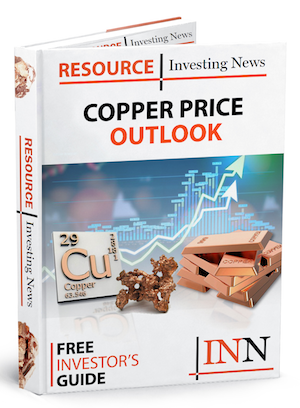 INN: Are there any factors that could throw copper off its positive price trajectory? MF: Off its price trajectory…in the short term I would say if Trump’s infrastructure build out does not come to pass that’s negative for all industrial metals. INN: I was reading as well that there was an increase in scrap copper that came online. Can you talk a little bit about that and whether that would have an effect on the price? MF: Scrap copper is competitive with refined copper so when prices or supply demand fundamentals get a little out of kilter the demand for scrap can go up or it can go down. So that market probably in terms of copper usage, now this is not always destructive copper usage because you have this scrap in the equation, is significant on a yearly basis but that adds inflows depending on refined copper, copper concentrates and China is kind of the 800 pound gorilla on this block. They use about 40 percent of their copper in the world they do not produce enough copper. So that’s a bit of a wild card on the copper play, always, is what the Chinese are doing. Are they stockpiling it, are they hoarding it, are they dumping it on the markets. It’s a complicated business as most industrial metals are. INN: So can you tell me about a copper explorer that you believe has potential? MF: Well the company that I’ve just written up and my subscribers know about it and it’ll be out in the public very quickly is Trilogy Metals (TSX:TMQ), and that’s morphed out of NovaCopper. I really like these projects in central northwest Alaska. I think they’ve got really good potential. Giant deposits, world class, high grade. They’re remote- lots of infrastructure build out required, but for a longer term copper play that’s my pick. INN: You wrote recently about after being a long time zinc bear that that you found a zinc-focused company that you think has potential. Have you changed your mind about the zinc market or is it just this particular company? MF: No I’ve really changed my mind about the zinc market and so I have a shorter term view on the zinc market. I think in the short to mid-term the zinc market’s going to prosper. We have a zinc concentrate supply deficit, production was down six percent last year, so you kind of do the math. We have a maybe two to three year window the zinc market. I think zinc companies are going to do quite well and so yeah I made a zinc play. 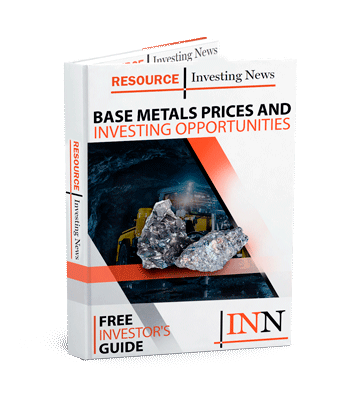 INN: What is a zinc explore that you think has potential? MF: I am an early stage shareholder in a new zinc company called Hannan Metals (TSXV:HAN), and Hannan Metals has bought Lundin Mining’s(TSX:LUN), Kilbricken Project in southwestern Ireland. There’s going to be a resource estimate come out soon on that, immense exploration potential in a really big land position so we wrote that up. I’m a shareholder sponsor of my website so I’d encourage viewers to take a look at Hannan Metal’s on the Venture Exchange. INN: What’s the most exciting thing about them for you? MF: They paid a million bucks for a project that has 30 million dollars in the ground, and it’s got lots of potential lots of shows all over the place. They have not been followed up. Right share structure, people I’ve worked with before and comfortable with the project. INN: Great and is there anything else that you want to talk about while we are here? MF: Got a new gold pick coming out soon so we’ll keep that one under wraps for now but I run a free subscription service and anybody that wants my stock picks you sign up. Give me an e-mail address and a name. Doesn’t even need to be a real name but we do need a real e-mail address. You get my stock picks right when they’re published. Editorial Disclosure: Hannan Metals is a client of the Investing News Network. This article is not paid-for content.